This dress was bought in 2014 for my wedding and now id like to sell it on for the next brides perfect day. I am 170cm. 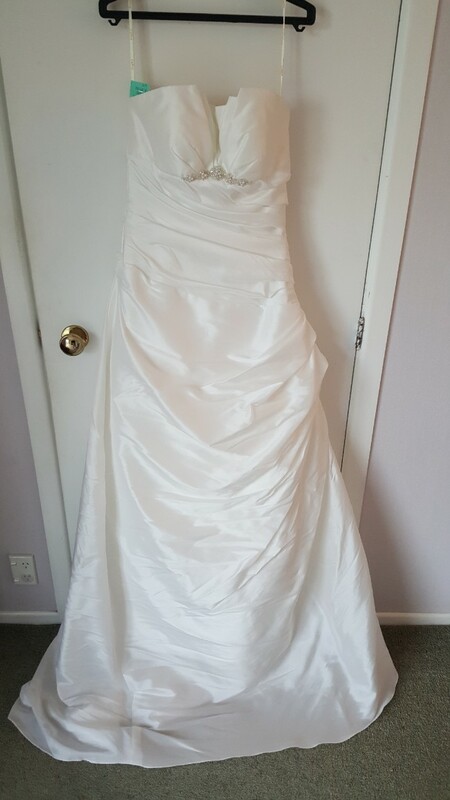 I picked this dress because it was not too heavy and it didnt have a long trail, it can be tucked up at the back for dancing and walking easily after going down the aisle. I added the corset back because at the time I was a size 12/14 and I knew I would either add weight on or take it off before the big date...so this was perfect for me.